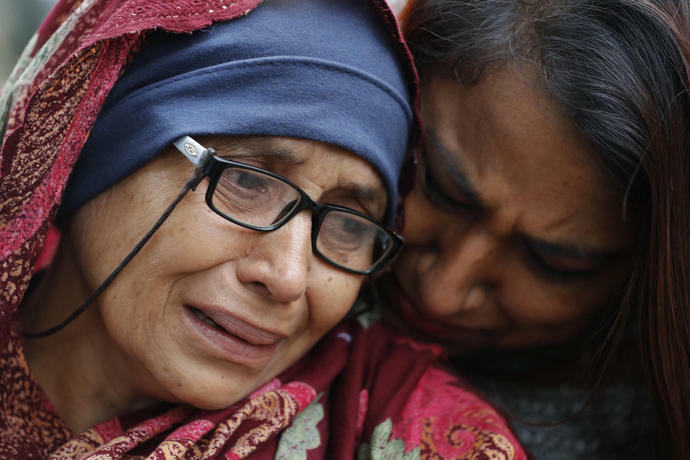 CHRISTCHURCH, New Zealand (AP) -- New Zealand's stricken residents reached out to Muslims in their neighborhoods and around the country on Saturday, in a fierce determination to show kindness to a community in pain as a 28-year-old white supremacist stood silently before a judge, accused in mass shootings at two mosques that left 49 people dead. At the first, Al Noor mosque, witness Len Peneha said he saw a man dressed in black and wearing a helmet with some kind of device on top - believed to have been a camera - enter the house of worship and then heard dozens of shots, followed by people running out in terror. Associated Press writers Kristen Gelineau in Christchurch; Rod McGuirk in Canberra, Australia; and Chris Blake in Bangkok contributed to this report. John William "Bill" King, 44, is scheduled to die at 6 p.m. (2300 GMT) by lethal injection at the state's death chamber in Huntsville. King along with Shawn Berry and Lawrence Brewer were accused of kidnapping Byrd while he hitchhiked in Jasper, Texas, on June 7, 1998.